Take A Trip to Santo Domingo Europeans have been making the trip for over 500 years! Why should you take a trip to one of our Santo Domingo Resorts? Because Santo Domingo is the heart and soul of the Caribbean! This modern metropolitan city is the oldest in the Americas. 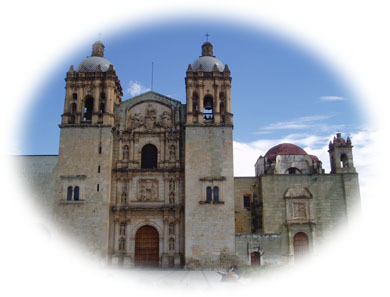 Not long after the arrival of Columbus to the New World, his brother founded Santo Domingo in 1496. This city, while having a thriving economy and all the conveniences of a modern “first-world” urban center is soaked in culture and history. Santo Domingo Resorts are the perfect “home base” for cultural excursions through this world heritage zone. Nobody ever forgets their first walk through the Colonial Zone in Santo Domingo – it’s like stepping into a time machine. Santo Domingo Resorts create the most accessible of Caribbean vacations. Santo Domingo is located on the southeastern coast of the Dominican Republic. Las Americas International Airport (SDQ) is the main gateway to the Dominican Republic and every major airline flies direct to Santo Domingo. The benefit for tourists is that cheap airfare to Santo Domingo is readily available because of the amount of competition – everybody flies there. No longer are travelers restricted to trying to book expensive charters into small resort airports on inflexible schedules. Santo Domingo Resorts deliver the best of both worlds – the benefits of a major city and the remote paradise and never-ending white sand beaches that we expect when we travel to Caribbean luxury resorts. If you’re looking for the biggest bang for your buck, Santo Domingo Resorts definitely deliver, in fact they over-deliver! The Santo Domingo Colonial Zone is designated as a UNESCO world heritage site and is the oldest city in the “new world”. Your first walk through will reveal an incredible cityscape of 16th century dwellings and architecture. Wonderful theaters, world-class restaurants, museums, forts and lighthouses are just part of what you’ll see. Even the best writer's prose cannot describe the feeling that will haunt you as you explore the zona colonial. At some point you’ll feel like you’ve been swept back in time, witnessing the Spaniards conquests in the New World or even Francis Drake’s pillaging of the city which left it inhabited by pirates for close to a century. •Walk through the Plaza de la Cultura a huge greenspace surrounded by four of the country’s best museums. • Enjoy dinner in one of the local gourmet restaurants then stroll down to one of the many concert halls or theaters and catch a show including performances by the renowned Santo Domingo Ballet Company. • Gaze upon the Columbus lighthouse as its cross lights up the Caribbean sky. This mausoleum on the shore of the Ozama river houses the remains of Columbus, the world’s greatest explorer. It is definitely worth a visit and serves as a beacon to all who believe there is something worth finding around the next corner. Most of the Santo Domingo resorts are located directly on the beautiful Boca Chica beach – an unending expanse of powdery white sand and palm trees. This Caribbean oasis is located just 15 km East of Las Americas International Airport. For the savvy traveler who knows how to shop around for great deals on airfare and the lowest hotel room prices available, this destination is perfect. Shop around and you’ll discover that nobody can deliver Santo Domingo resorts for less than all-inclusive-resorts.com. Check out our list of Santo Domingo Resorts and you’ll be on your way to paradise! There is no cheaper way to get to Santo Domingo than with all-inclusive-resorts.com! We promise wholesale prices and we over-deliver – there is nobody else around that can provide the type of personalized service or prices that you’ll find when shopping with us. If you have any other questions or comments about Santo Domingo Resorts feel free to contact us at All Inclusive Resorts– that’s what we’re here for. 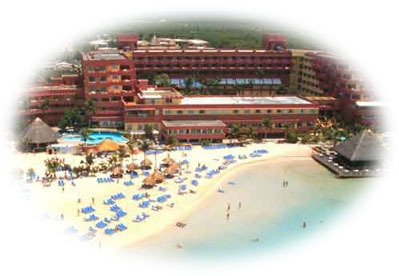 Would you like to Price our Santo Domingo Resorts?